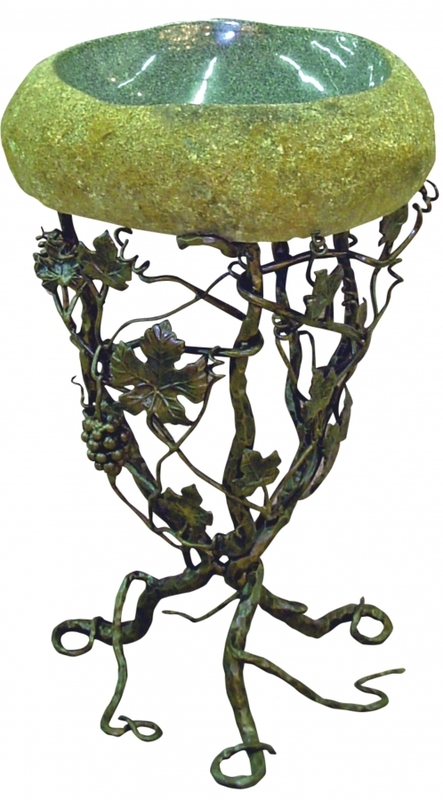 Forged iron vines appear to grow into a shape that is made for holding the sink bowl in this nature inspired piece. Leaves are added to the details to give it a realistic appearance. The vines are spread toward the top to form a delicate space that holds the sturdy granite vessel.